Collection C - Clarity - Coffee cups, espresso cups and place plates for the sophisticated table. 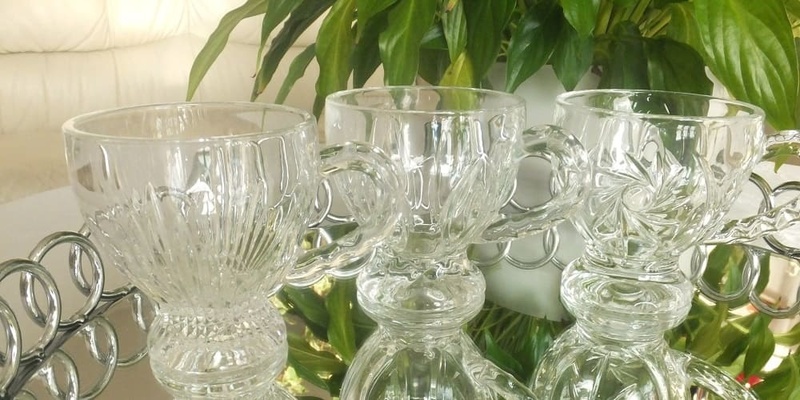 Elegant glass cups - Collection C ... CLARITY. It's so beautiful - dreams come true. The CLARITY glass cup collection truly embodies this well-known saying. Whether teacups, coffee cups, small espresso cups or a variety of table and decoration parts - the sublime forms with or without integrated decoration accompany the entire collection and put us back in the beautiful world of opulent and time-consuming perfect table culture as from the Oscar-crowned film. The high quality coupled with fabulously beautiful gift boxes in which the noble glass cups, platters and bowls have been packed, crowns the line to the right gem of your store. CRISTALLIN - Glass is characterized by a beautiful shine that evokes associations with the real rock crystal. The perfect transparency and clarity of the Cristallin glass gives the coffee and alcohol and all other drinks served in the glass the special depth of their own colour. The other important feature in m daily use is its elasticity, thanks to the CRISTALLIN - breaking glasses only for luck - "shards bring luck...".